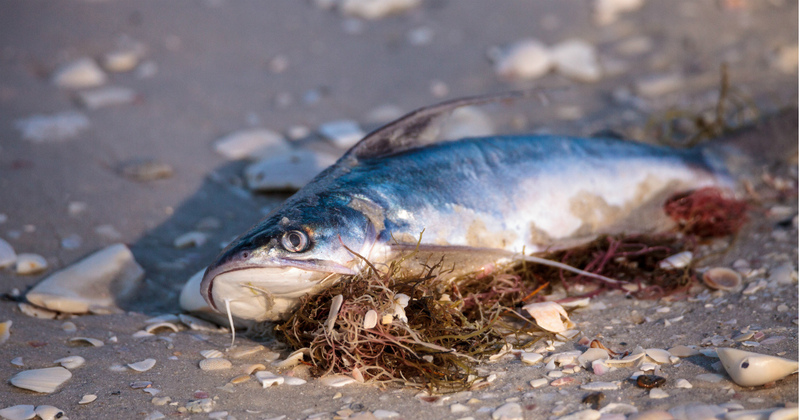 With his political career now on the line, Florida Governor Rick Scott is making a show of his concern for the red tide crisis affecting his state. But for eight long years, Scott’s actions undermined the state’s ability to prevent, prepare and respond to the red tide that has reached three coasts. Scott turned down a chance to acquire land needed to restore water flows to the Everglades—which would have reduced algae blooms on the east and west coast of Florida. Scott was silent when President Trump tried to eliminate the South Florida Geographic Initiative, which helps monitor algal blooms from flowing into Florida’s water. When the White House tried to eliminate a water pollution prevention program that helps estuaries in Tampa Bay, Sarasota Bay, Charlotte Harbor, and the Indian River Lagoon fight algal blooms, Governor Scott didn’t lift a finger to protect the millions in federal funding that Florida receives. Other Republican governors actively lobbied for their state’s interests. Scott cut $700 million (about 40%) from the budget of the Florida Water Management Districts, the lead state agency responsible for dealing with Everglades restoration projects. And last year, when asked about Trump’s attempt to slash critical EPA programs, Scott’s spokeswoman said the governor’s office hadn’t even reviewed Trump’s proposed cuts. Floridians are now paying the price of his eight years of neglect, through empty beaches, damaged coastal economies, and rising threats to the health of children and families due to water pollution. To judge him by his actions, Scott apparently only pays attention to issues like red tide when it’s election time.